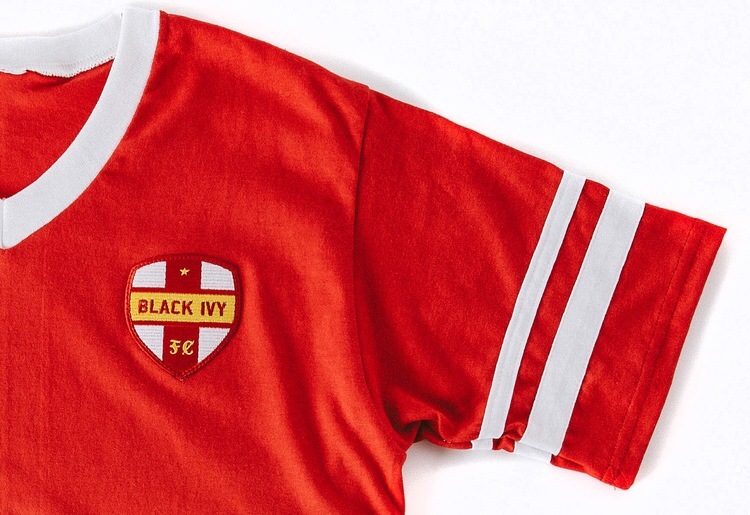 Things Cool People Like: Black Ivy x World Cup… | iamstylingonyou. 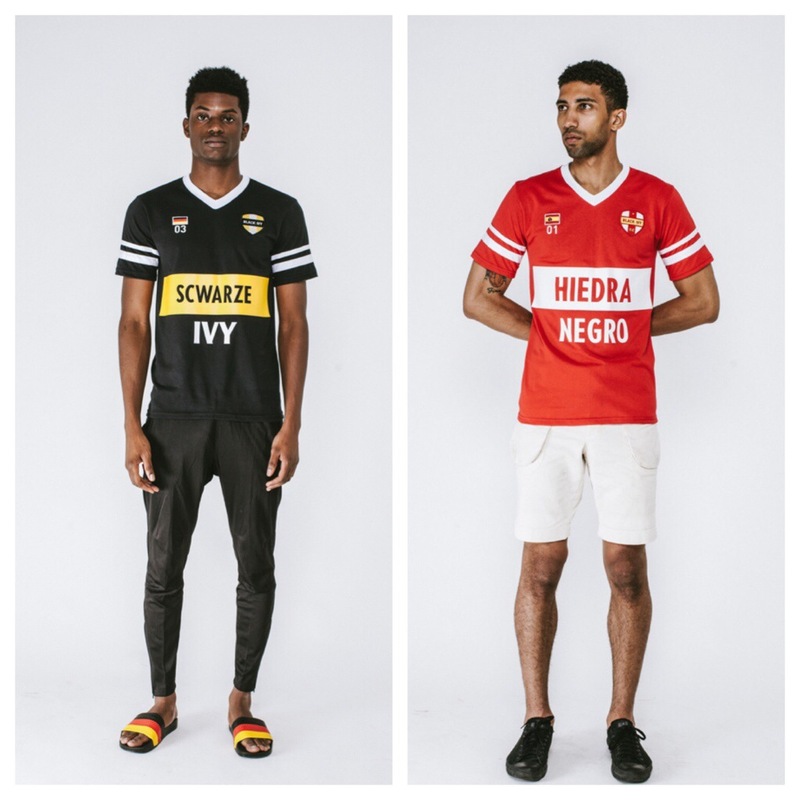 The duo of Street Etiquette have released a super sweet line to commemorate the World Cup that is nothing short of amazing. When I was a kid I played Soccer (futbol) for about 8 years. At first my mother made me do it (for what reason I don’t know) because to this day she talks about how she had to drive my sisters and I all over town on the weekends to games, and how she secretly wished that we would lose games so that she could have some chill time. (shady) Anyway over the years I have really grown to love the game because you can go pretty much anywhere in the world and play it. You can meet people and not even have to speak the language and still have a good time playing. Also it’s the only sport that I know pretty much all the rules and can follow the game the whole time; and know what is going on (go ME!) 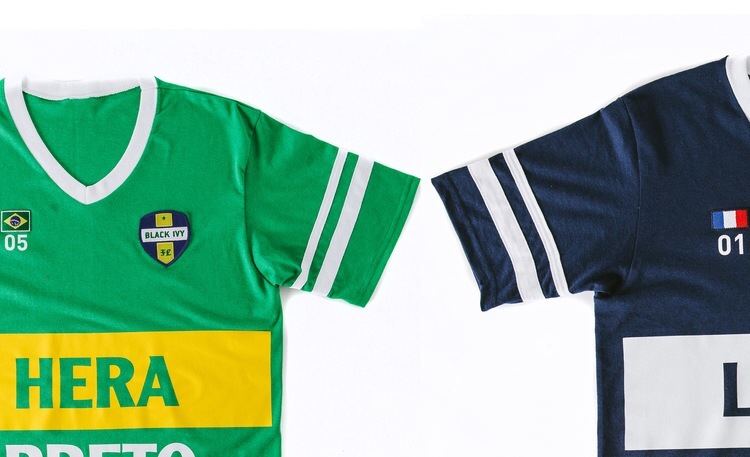 I hope to get my hands on one of these jerseys because I would surely get a lot of wear out of it. 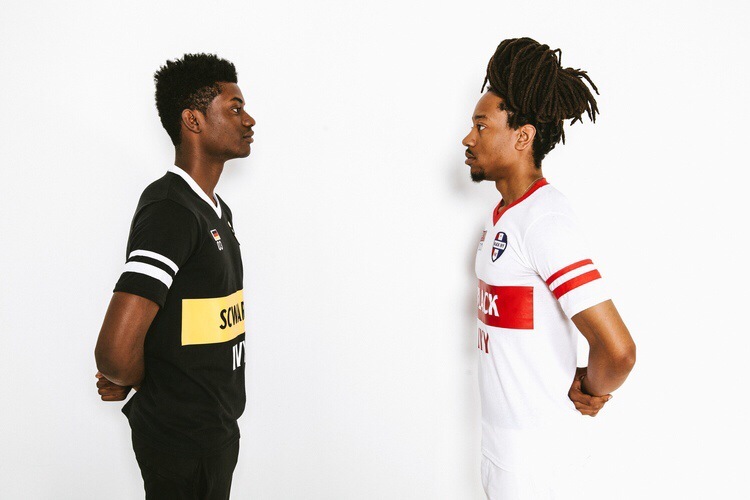 Check out some photos below and make sure you head over to BlackIvy.co to check out more photos and cop a jersey. You. Are. Welcome!